Airfield Balen/Keiheuvel (Dutch: vliegveld Balen/Keiheuvel, ICAO: EBKH) is a small GA airfield 70 kilometer northeast of Brussels. It is a public airfield founded in 1956 and home base of the Royal Aeroclub Keiheuvel, with both motorised and glider aircraft. 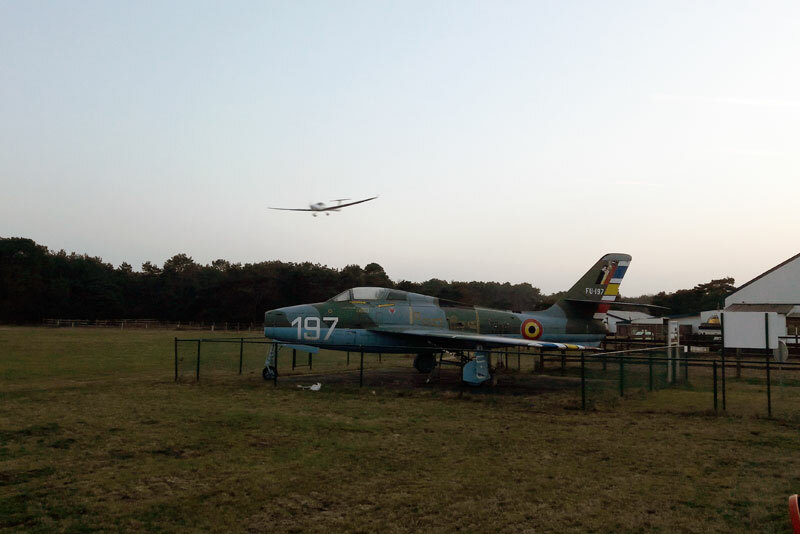 As with most recreational airields in Belgium flying into this airfield is strictly PPR (Prior Permission Required). Balen-Keiheuvel as seen on Google Maps. Thanks to Bjorn Claes from Belgium for correcting me on the location of the airfield!